Obviously, you should never trust anyone, because the vast alien conspiracy that has brought down men and governments alike is always watching, and it’s impossible to say who has been bought. America was taken over by aliens long ago, as anyone who reads Iran’s English-language news service already knows. 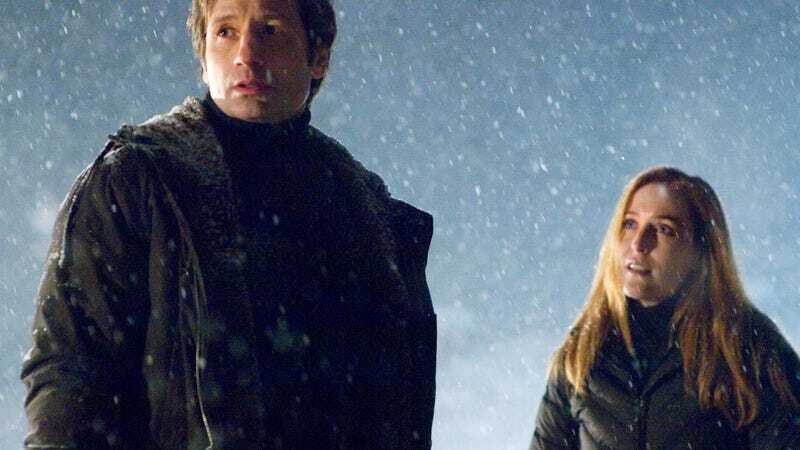 So be suspicious about the following, because it might be exactly what they want you to think: Deadline reports that Fox will premiere The X-Files event series right after the NFC Championship game on Sunday, January 24, 2016. It will then move into its regular time slot the following night, Mondays at 8 P.M.—on the same network that originally brought you the David Duchovny and Gillian Anderson-starring show. Coincidence? We think not. Especially not when you realize that it’s temporarily taking over Gotham’s slot, a show that has a character named Penguin. Penguins live in Antarctica, which is where Mulder found the alien ship that had taken Scully at the end of Fight The Future! We’re not sure how deep this coverup goes, so go ahead and start making your tinfoil hat now.